The share price for Rio Tinto plc with ticker code: LON:RIO has decreased -3.95% or -160 points during the course of today’s session so far. Market sellers have not remained optimistic while the stock has been in play. The high for the period has reached 3998 dipping to 3881.7. The number of shares traded by this point in time totalled 2,477,725 with the average number of shares traded daily being 4,523,036. The 52 week high for the shares is 4541 which is 487 points in difference on the previous days close and a 52 week low being 3255.5 a difference of some 798.5 points. 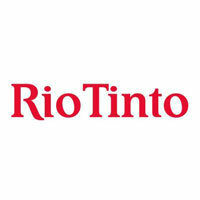 Rio Tinto plc has a 20 day moving average of 4139.73 with a 50 day moving average at 4231.4. The market capitalisation is now £71,148.80m at the time of this report. Share price is traded in GBX. Mcap is measured in GBP. This article was written with the last trade for Rio Tinto plc being recorded at Thursday, August 2, 2018 at 12:43:56 PM GMT with the stock price trading at 3894 GBX. The trading price for Royal Bank of Scotland Group plc ticker lookup code: LON:RBS has declined -1.73% or -4.4 points during the course of today’s session so far. Investors have so far given a mostly negative outlook during this period. Range high for the period so far is 254.4 dipping to 248.6. The total volume of shares exchanged so far has reached 5,271,603 with the daily average traded share volume around 22,136,254. The 52 week high for the shares is 304.2 which is 50 points in difference on the previous days close and a 52 week low being 239.6 is a variance of 14.6 points. Royal Bank of Scotland Group plc has a 20 SMA of 249.57 and now a 50 day moving average of 260.68. Market capitalisation is now £30,237.57m at the time of this report. The stock is traded in GBX. Mcap is measured in GBP. This article was written with the last trade for Royal Bank of Scotland Group plc being recorded at Thursday, August 2, 2018 at 12:43:08 PM GMT with the stock price trading at 249.8 GBX. Stock in Standard Chartered PLC with EPIC code: LON:STAN has declined -2.21% or -15.1 points in today’s trading session so far. Market sellers were not positive during this period. The periods high figure was 680.9 and hitting a low of 665. The number of shares traded by this point in time totalled 2,152,103 whilst the average number of shares exchanged is 8,017,417. The 52 week high price for the shares is 864.2 which is 181.6 points in difference to the previous days close of business and a 52 week low sitting at 664.2 a difference of some 18.4 points. Standard Chartered PLC has a 20 SMA of 690.97 and also a 50 day MA at 713.91. The current market capitalisation is £22,230.46m at the time of this report. All share prices mentioned for this stock are traded in GBX. Mcap is measured in GBP. This article was written with the last trade for Standard Chartered PLC being recorded at Thursday, August 2, 2018 at 12:43:44 PM GMT with the stock price trading at 667.5 GBX. Click RBS RIO STAN for the full archive.